Reaching out • Organizers say the joint iftar  breaking the daily fast during Islam's holy month  will help build bridges in the community. Steve Griffin | Tribune file photo Women prepare for an evening meal at the mosque on 700 East near 700 South in Salt Lake City on Tuesday, Aug. 7, 2012. Many Muslim members of the community gather at the mosque to pray and eat a meal as part of the typical weekday break-the-fast for Ramadan. Two Salt Lake City Mormon wards plan to host area Muslims for such an iftar meal on June 4, 2017. 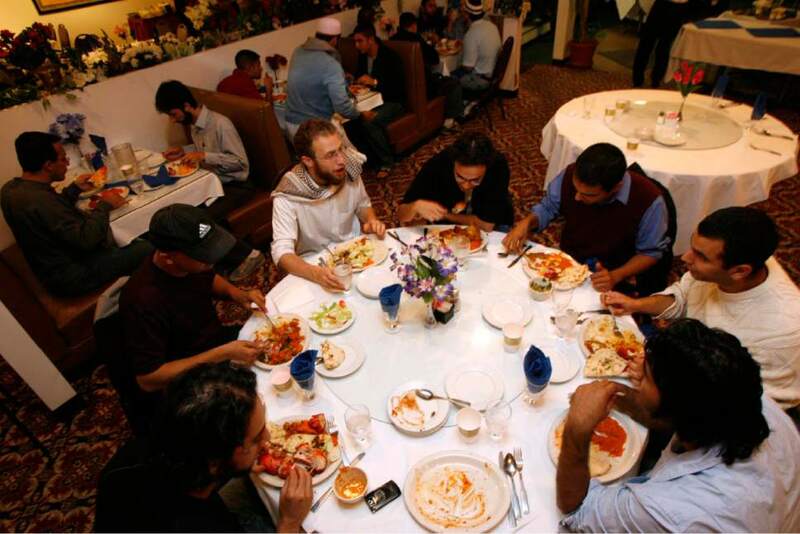 Trent Nelson | Tribune file photo About 50 members of the Muslim Students Association of the University of Utah held a group Iftar at Taj India in 2007. Two Salt Lake City Mormon wards plan to host area Muslims for such an iftar meal on June 4, 2017. Rick Egan | The Salt Lake Tribune Islam faithful eat a small bit of food to break their fast, before prayers in the Khadeeja Islamic Center in West Valley City for the community "iftar" or the breaking of the fast during Ramadan, Saturday, Aug. 29, 2009. Two Salt Lake City Mormon wards plan to host area Muslims for such an iftar meal on June 4, 2017. Fear, stereotypes, ignorance and hunger have this in common: They seldom survive sharing a meal, honest conversation, a desire to learn and making eye contact with the stranger across the table. 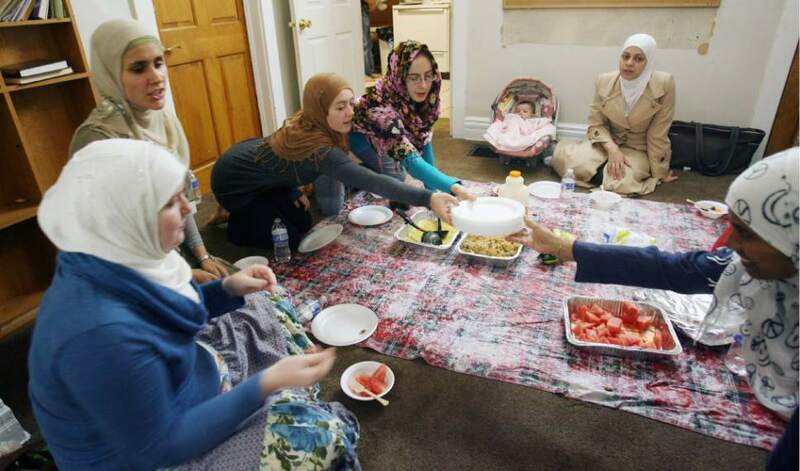 On the evening of June 4, two Salt Lake City Mormon congregations  the Yale Ward, 1431 E. Gilmer, and the Gregson Ward, 3151 S. 900 East  will do just that, hosting iftar dinners for Muslim neighbors during Ramadan, which begins Friday evening. Sariah Toronto, of the Yale Ward, says the idea came up during a discussion a few months ago about "what else we can do as members of the LDS faith to show support for our neighbors." Toronto, recalling her exposure to Islam during past travels to Israel, the United Arab Emirates, Egypt and other Muslim countries, found support for hosting an iftar. These communal meals break the daily fast at sundown during Islam&apos;s observance of Ramadan, a month of fasting, prayer, scripture study and charity (May 26-June 24 this year) for all devout Muslims. Figs, fruit and water initially are used to break the day&apos;s fast, followed by a time of prayer before the main meal. The Yale Ward found enthusiastic acceptance when it approached several area mosques  the Utah Islamic Center, the Islamic Society of Bosniaks and the Muslim Community Center  about the interfaith event. Those mosques plan to bring such iftar dishes as "biryani," a spicy concoction of rice, meats, dried fruits, eggs and yogurt, as well as myriad traditional foods from a range of Muslim ethnicities. Mormon participants will share side dishes, salads and, Toronto expects, open minds and hearts, blended with a willingness to make new friends. Imam Shuaib Din, of the Utah Islamic Center in Sandy, sees sharing iftar with his Mormon neighbors for the first time as an important milestone. "There are many interfaith opportunities throughout the year  the Interfaith Roundtable, &apos;Meet the Muslims&apos; open houses by local mosques, and monthly interfaith prayer services  but this is the only interfaith event I know of pertaining to non-Muslims hosting Muslims for an iftar breaking of the fast," says the imam, who has served in Utah for 17 years. Toronto agrees that the two religions have much in common, including "an incredible number of similarities"  among them strong family values, a founding prophet, avoidance of alcohol, clergy largely drawn from the laity, charitable outreaches and, of course, fasting  "in our devotion to faith and the values we hold. 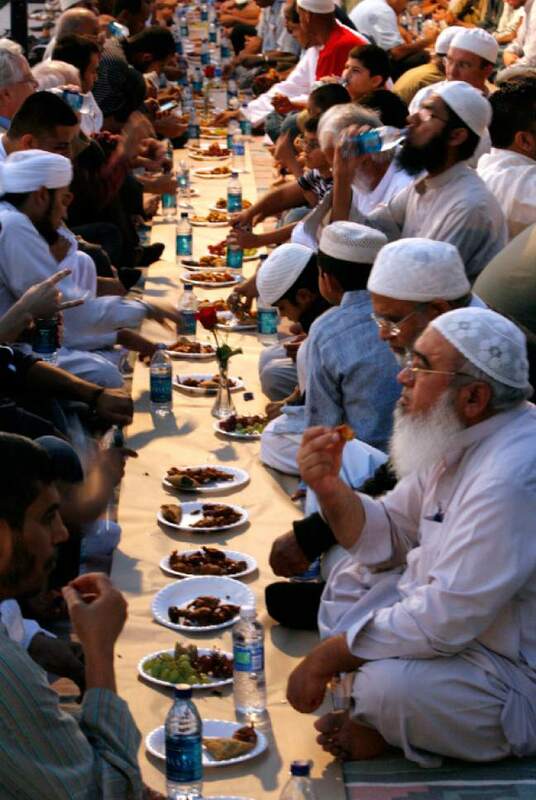 This [iftar] is very fertile ground to understand each other better." Adds Din: "Muslims, in general, feel very comfortable living in Utah, [and] we as a community would like to reciprocate and hopefully be hosts as gracious as they are to us." For Kristen Hodges, of the Gregson Ward, organizing an iftar dinner grew out of preparation nearly two years ago for a lesson she gave to women in her ward&apos;s Relief Society on the subject of fasting. "I did some research on other religious traditions that incorporate fasting," she recalls, "so that we could reimagine our own [LDS] fast  how they do it and what it means to other faiths." Hodges came across a newspaper account of some Southern California Mormon congregations that had staged iftar events. She shared that with her listeners, and the notion may have ended there. Then, this January, Hodges, her husband and a group of other non-Muslims attended a Somali mosque&apos;s Friday evening services. "It was an attempt to let them know they were welcome in our community," she says. In the months that followed, Hodges thought more about the iftar dinners she had read about. "I decided to try to get one started here," she says. "My bishop thought it was a great idea; he had attended one years ago . . . and he loved the experience." The Gregson Ward, too, found acceptance when Hodges reached out to her Muslim neighbors, including Faeiza Javed, a 25-year-old woman raised in Utah. Javed, who occasionally wears a hijab  a traditional head covering for Muslim women  has gotten used to drawing stares. Rather than responding with anger, though, she has made a point of being both an outspoken foe of "Islamophobia" and a patient teacher to the willing. "People can be standoffish and hesitant when they see me," Javed acknowledges. "But other times they are just more curious and worried about offending me and don&apos;t ask questions. Others come right up  and stereotypes don&apos;t survive [learning about her faith]." That&apos;s why the Gregson Ward&apos;s iftar is important. "I love to help. This is a great initiative,"Javed says. " ... The best way to combat such things [as prejudice] is through dialogue." That sentiment is echoed by Amim Yussuf Abdi, of Salt Lake City&apos;s Madina Masjid Mosque. He plans to speak at the interfaith meal and is "very happy" to attend the gathering to meet the LDS community. "My topic," he says, "will be the importance of educating people [about] the month of Ramadan, building bridges between Muslims and Mormons, and the importance of [such] relationships." Ramadan falls on the ninth month of the Islamic calendar, or Shaban, this year running from sundown May 26, to sundown June 24. With few exceptions (the elderly, pregnant women, diabetics and those with illness), observant Muslims fast from dawn to sunset. The fasts are broken only for pre-dawn and post-dusk meals, suhoor and iftar, respectively. Along with daily fasting, Muslims are urged to pray, read Islam&apos;s holy book, the Quran, and do more good deeds. It is believed that spiritual rewards for their self-denial, contemplation and prayers are especially multiplied during the month of Ramadan.